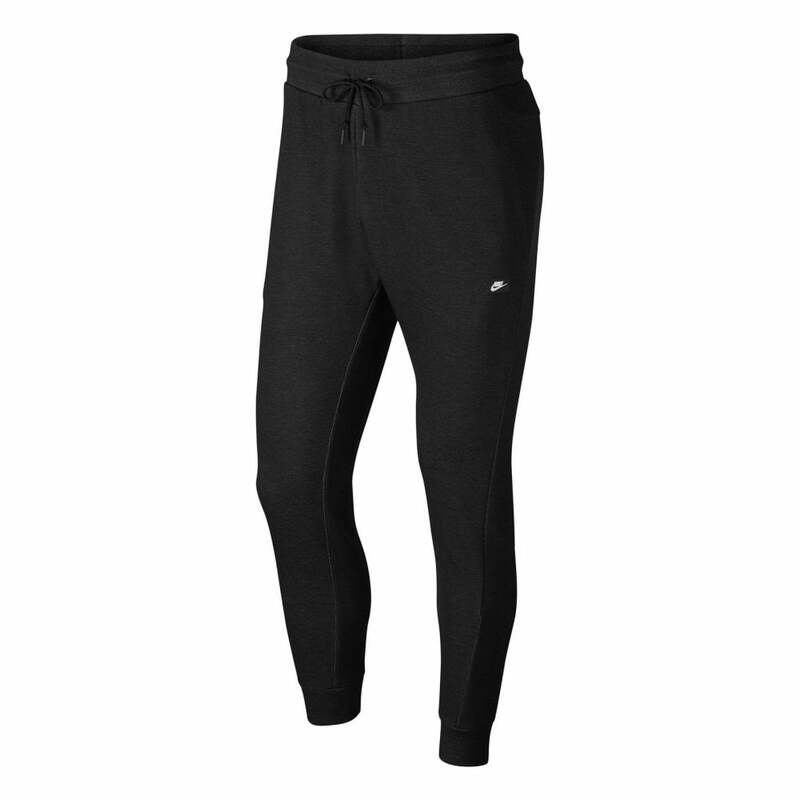 These Nike Optic Joggers are a blend of cotton and polyester and are charcoal grey in colour. They have an elasticated waistband with a drawstring with tapered legs and elasticated cuffs for a better fit. There are open pockets at the sides and a zip-fastened pocket at the rear. It uses a double knit fabric for a soft feeling. Nike branding appears on a rubber badge on the left leg. They are ideal for any kind of training.